← Is It Time to Tumble? I’d make a terrible soldier. 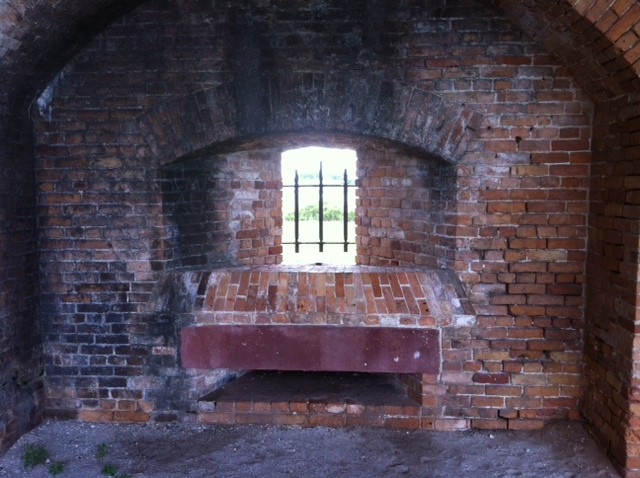 I had this realization on vacation in Pensacola, Florida, as I toured historic Fort Pickens with my daughter-in-law and discussed turning the fort into a house. We marveled at weapons’ storage rooms but were more interested in configuring living spaces: bathrooms, bedrooms, kitchens. Wine cellars? When we encountered puddles of water (leaks! ), the house fantasy waned but did not give way. 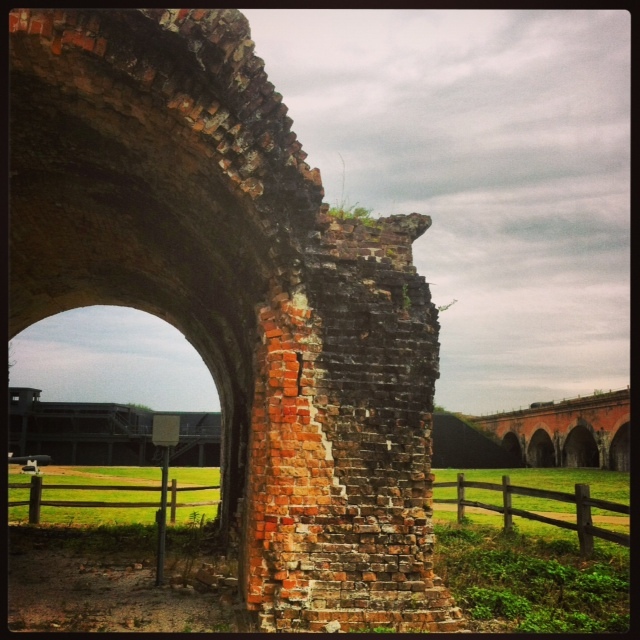 The fort’s crumbling brick walls and views of the Gulf of Mexico were stunning. 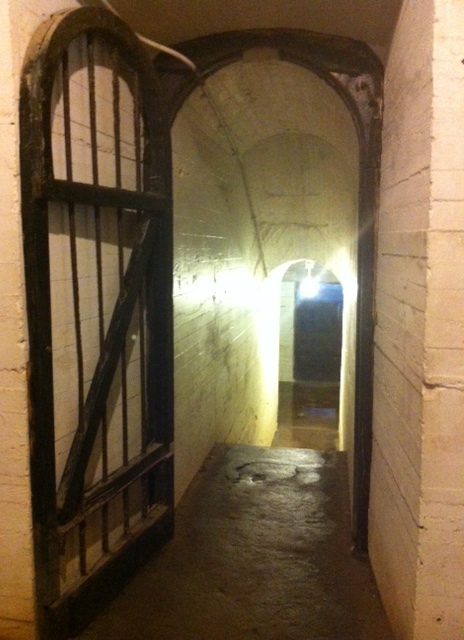 So we plunged through unventilated tunnels. July’s heat escalated with every step. After a long trudge, we wandered outside to what we thought would make a nice courtyard. We then climbed a steep, stone staircase to reach a rooftop mound of grass and dirt. Invigorated by a breeze and beachfront possibilities, we snapped pictures with our cell phones as my granddaughter slapped her ankles and jumped up and down. Tiny bugs bit our sandaled feet and marched up our bare legs. My daughter-in-law instructed everyone NOT to stop. Like good soldiers, we had to keep moving. So we hopped to keep the bugs at bay, then jetted down the staircase and caught up with my firstborn son and grandson inside the fort. In tow with the boys, we plowed deeper into the fort’s abyss. I panted but no one seemed to notice. So I shouted, “Let’s go back!” My son—the outdoorsman—looked at me as if I’d turned a hundred years old overnight. I explained that I needed water. Desperately. Needed. Water. He did not move, so I added, “It’ll be dark soon. And I want to see those huge birds we saw on the drive over.” He shuffled his feet but did not turn. Washed out, I threw in the 4-star restaurant he’d found online that morning. “We need to go early to get a table,” I said with a rasp. He finally turned to follow me. Down a long hallway, my sinuses blocked up as I studied mold-covered walls and abandoned the idea of turning the fort into a home. Instead, I became a soldier. Dressed in wool uniform. No bath in days. No blow dryer or flatiron. I felt the weight of a rifle on my right shoulder. Or was it my left? I lumbered toward an exit and envisioned a battle. Enemy fire sang toward me. I considered taking a bullet. Or three. But I decided to raise my arms and surrender. A terrible soldier—the worst—I gave up for water, to see large birds, and to chow-down in a 4-star restaurant. 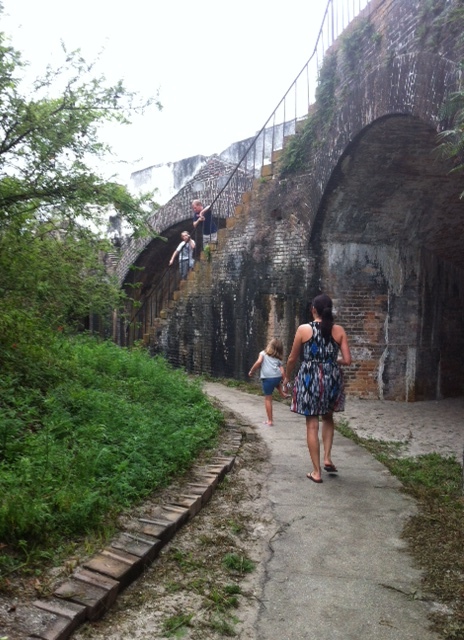 This entry was posted in Stories from the Farm and tagged #beach vacation, #fort pickens. Bookmark the permalink. That would be remodeling. Darn autocorrect. Thanks, Carolyn. It was a blast. Until I got hot. 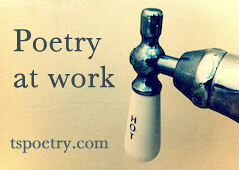 And thirsty. That was a wonderful essay! Laughed out loud. You just made my day, Diane. Great imagination Darrelynn. I loved the pictures to. Those crazy ants you talked about are at my house the don’t bite but they’re a pain ! Oh, no. We’re in trouble if those critters are in Louisiana, Debbie. Yikes! I admire your re-purposing of the fort, Darrelyn. Could you then flip it!? Lovely essay, moments caught. Thanks, Richard. I could definitely flip it for its beach-front view. That’s quite a tale, Darrelyn. I love it because it brought back fond memories of a summer I spent at the campground next to Fort Pickens with my dear aunt and uncle. 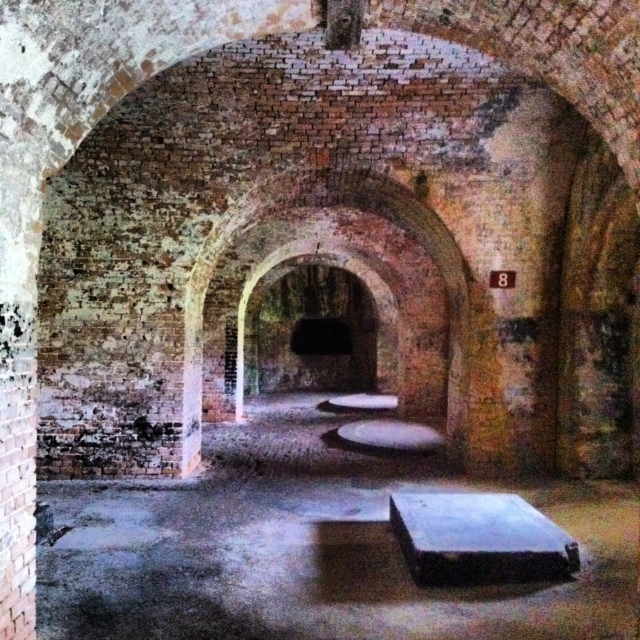 I wandered over to Ft. Pickens every few days and poked around, much like you did. Later, I was saddened when a hurricane (I forget which one) decimated the campground, the beaches, and some of the artifacts at Fort Pickens. Like you, I can only imagine what it would have been like to be a soldier there. Lovely piece! Thanks for sharing your memories through words and photos. 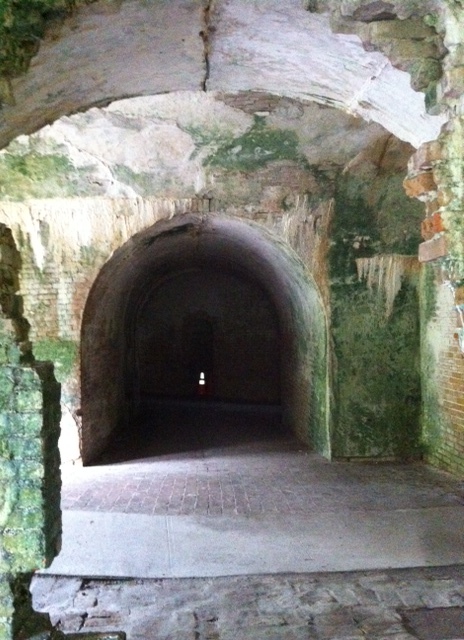 Debra, I wonder how many hurricanes Fort Pickens has survived. You’ll be happy to know the campground has been restored. Thanks for the kind words. So glad you stopped by. 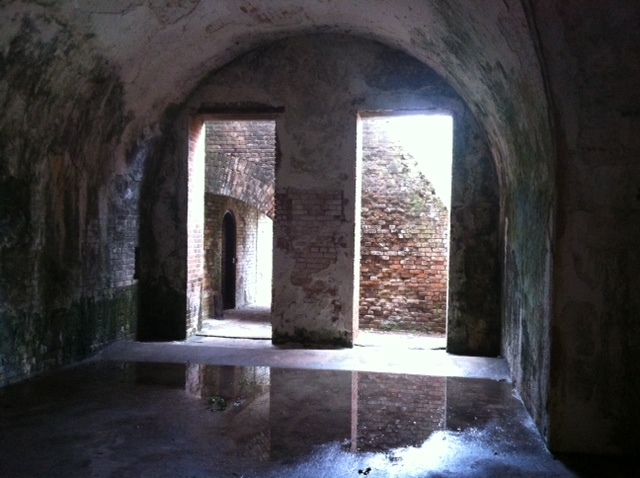 I’ve been to my share of these old forts and can honestly say I NEVER considered remodeling it into a private home. You, my friend, have an incredible imagination! LOL. Next time, Barbara, take my imagination with you. And take lots of pics. LOVE your photos. Outstanding piece. Thank you for reminding us of what people in our past are capable of. Thanks, Dave. I’m a sucker for historical sites. But I have my limits. Well, I would also make a terrible soldier. I can’t think of anything I wouldn’t do for the promise of dinner in a 4-star restaurant. Almost. Funny story, pictures were really good!! That catfish was not having as good a day as y’all were!! Yes, the catfish had a very bad day. 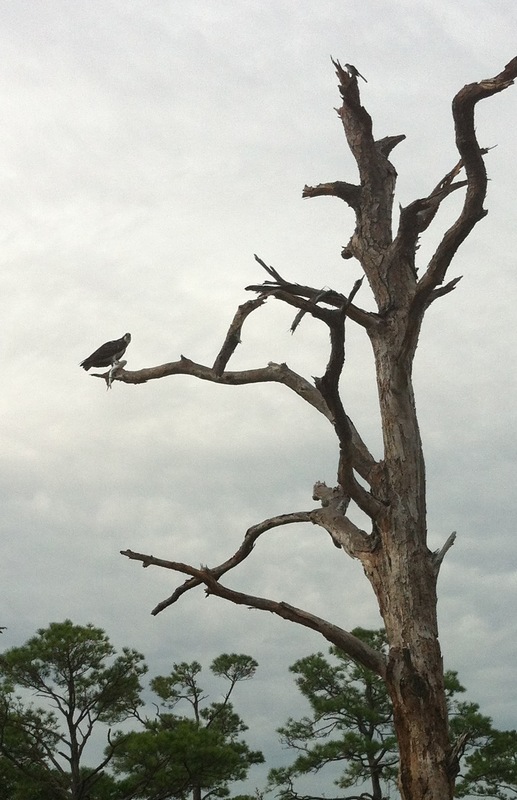 The large bird wouldn’t look at me to take the picture, so I called “kitty, kitty, kitty,” and she made eye contact. I was with you the whole way, even felt the bite of the Caribbean Crazy Ants. Loved the photo captions! Damn ants got you, too. Sorry about that. 🙂 I was just on your site and am excited about the next writer in your series. Didn’t have time to leave a comment, but I’m headed there now. Thank you, Jill. 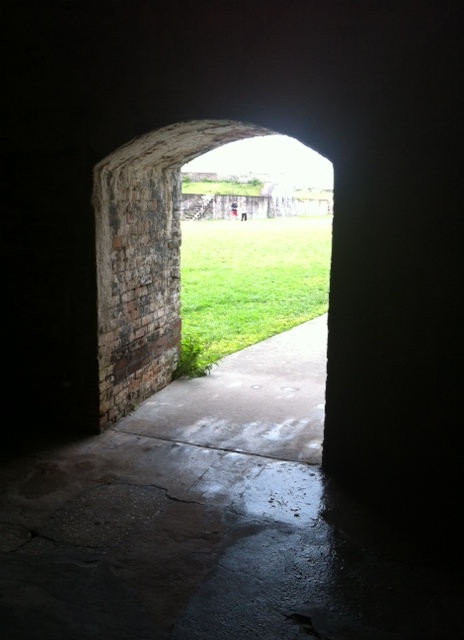 I’d love to visit a fort with you. Next time you visit Pensacola, leave time to come out and have lunch with us in the Longleaf woods in the north-central end of the county. Daughters-in-laws, kids, pets all welcome.